Seattle is one of America’s principal weed cities. Medical dispensaries have populated this waterfront town for decades (nearly as long as California), and Seattle rivals Denver for having the country’s longest-standing recreational pot scene. It’s also about as natural as any place in America to indulge. The city sits between two ranges of mountains, is bordered by both saltwater and freshwater, and is filled with an ample amount of culture, great cafes, and restaurants. So the question is not if you should smoke weed in Seattle but where are you going to get weed in Seattle? With over 50 retail dispensaries, there is plenty of opportunity to score some greens. And thanks to Washington’s robust legal market, Seattle has some of the country’s cheapest weed with an incredible amount of product offerings. 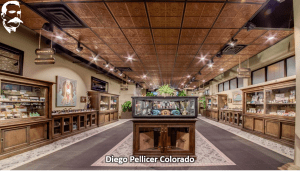 The people behind Diego Pellicer really, really want you to know that their store is fancy. 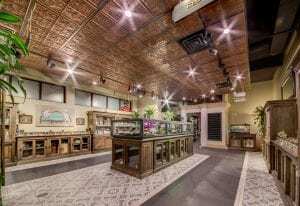 They call themselves “the world’s most luxurious” retail shop, they compare themselves to powerhouse brands like Godiva and Starbucks, and their SoDo store is decked out with enough Spanish tiles and Greek Revivalist columns to fill a small spa. 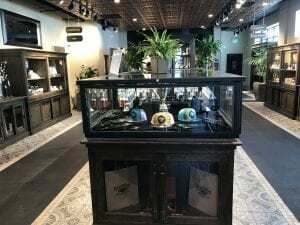 Even though Diego Pellicer might not be as important as it makes itself out to seem, the store itself is actually one of Seattle’s better places to find weed supplies. The shop stocks many of the states best farms (including the elusive Leira Cannagars) at surprisingly fair prices.